Last night’s episode of “The Bachelor” picked up where last week’s left off. 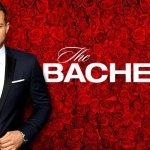 Last week the episode ended with a “To Be Continued” after Colton Underwood fled the set after Nicole and Onyeka got into a screaming match in front of him after throwing each other under the bus with him in private. It’s understandable that he was uncomfortable (so were we), and it also makes sense that the two ended up being sent home during the rose ceremony, which was revealed last night. The first one-on-one date went to Hannah G, who went on a spa day with Colton that got… steamy. They only pulled themselves off each other once Hannah started opening up about how she doesn’t usually open up. She told Colton about her parents’ divorce, which struck a chord with him since his got divorced, too. She ended up getting a rose. Cassie, Heather, Tayshia, Caelynn, Katie, Hannah B, Sydney and Demi went on the group date. But Demi wasn’t happy about it at all, and started crying about being snubbed for a one-on-one again. That turned into a trend last night, as Sydney and Kirpa also felt like they weren’t getting enough attention from the Bachelor. But Sydney and Kirpa weren’t afraid to confront Colton about it, separately of course. Colton told Sydney that he’s just trying to warm up to her like he has with some of the other girls, but she wasn’t buying it. She ended up sending herself home. Tayshia ended up getting the group date rose. Meanwhile, Kirpa finally got a one-on-one with Colton, and told him that she’s worried that they haven’t gotten things rolling, similarly to Sydney. Colton seemed hopeful that they could connect, and probed her about her past engagement. He ended up giving Kirpa a rose after she opened up about it and said that she’s ready to get engaged again if things keep moving forward. Things were looking up for Demi for a minute… Last week, she gave Colton a “trust ring” that he didn’t seem totally on board with, and this time she included him in her first phone call with her mom since she was released from prison… which also didn’t do much for him. Finally, things took a bad turn when she decided to pay him a visit in his room. She amped up the intensity by telling him that she’s falling in love with him, and, yeah, he wasn’t feeling it. He ended up eliminating her right there, rather than at the rose ceremony.